This blog post is about Meera Jasmine Biography,Wallpapers,Pictures & Videos. Meera Jasmine is an established actress in the South Indian film industry. Jasmine Mary Joseph was born on 15th February 1984 in Thiruvalla, Pathanamthitta, Kerala. Her parents are Joseph and Aleyamma. She studied at the Seventh Day Adventist English Medium High School and Mar Thoma Residential School. Meera Jasmine was linked with the mandolin player U Rajesh. There were rumours that they were married but they are said to have broken off their relationship. Meera Jasmine had to pay for the purification rituals when she entered the Raja Rajeshwari temple which is not open to non-Hindus. During a school event Meera Jasmine met Lohithadas through the director Blessy and landed her first Malayalam movie Soothradharan (2001). The movie didn’t do well but opened the doors to more opportunities. She played a Jewish girl in Gramaphone. It was Kasthoorimann which propelled her career forward. She won the Filmfare Award. She also won the National Film Award for Best Actress for Paadam Onnu: Oru Vilapam, in which she played a young Muslim girl who is forced to marry an older man. She gave some remarkable performances in movies like Perumazhakallam, Achuvinte Amma, Rasathanthram and Ore Kadal. She also acted in Tamil movies like Run and Bala. Run earned her a Filmfare Best Debut Award. It was also dubbed in Telugu. She also got a chance to work in Kannada movies like Maurya and Arrasu. Filmfare Best Female Debut (Tamil) for Run. Filmfare Best Actress Award (Malayalam) for Kasthoorimann. National Film Award – Best Actress for Paadam Onnu: Oru Vilapam. Kerala State Film Award for Paadam Onnu: Oru Vilapam. Tamil Nadu State Film Award for Best Actress for Kasthuri Maan. Filmfare Best Actress Award (Malayalam) for Achuvinte Amma. 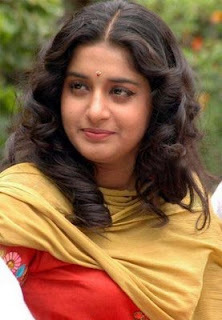 Filmfare Best Actress Award (Malayalam) for Ore Kadal.